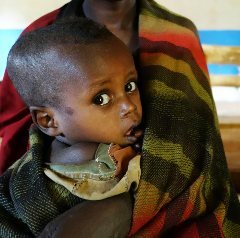 While the news hardly pays attention to Ethiopia, millions of children continue to be malnourished in the East African country. 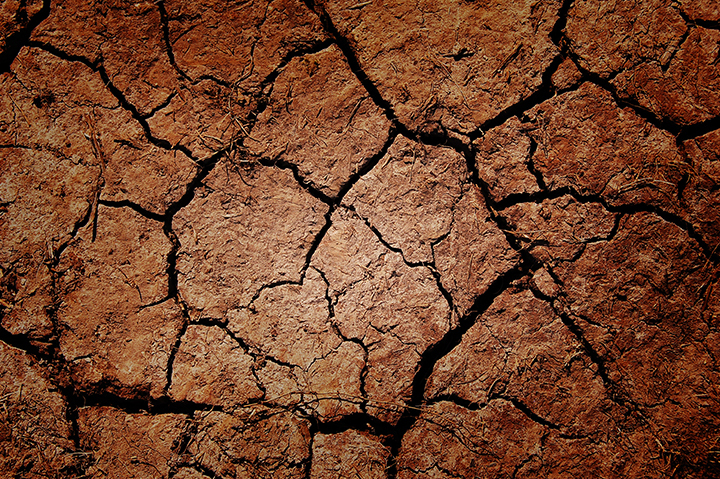 Recurrent droughts, high food prices, poverty and lack of agricultural investment are some of the reasons for persistent hunger, stunting, even starvation among Ethiopian children. 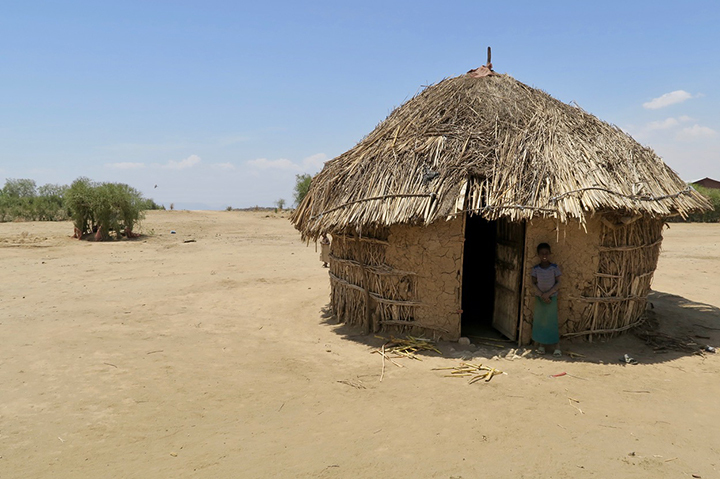 For their aid program, ASC seeks out villages that are so remote that sometimes officials aren’t even aware of their existence. 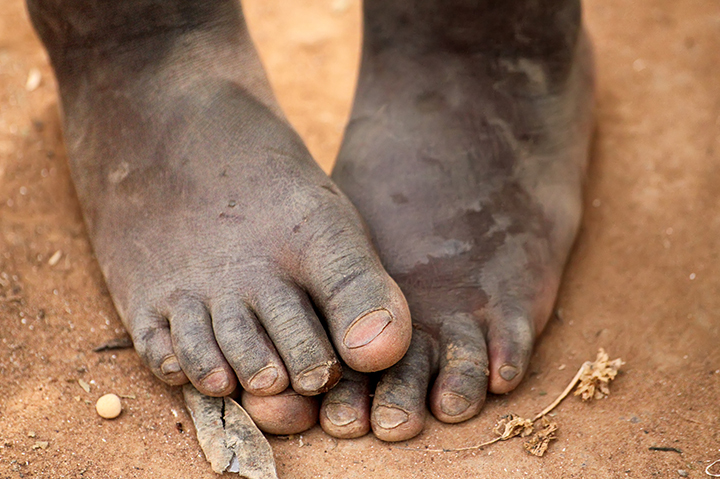 In some of these out-of-the-way rural areas, hunger is so bad that our team is greeted by desperate mothers of horrifically malnourished children, children who are often too weak to cry, laugh, walk or play. And sometimes they even encounter the stench of death on arrival. Before food is distributed, the ASC team carries out assessments in order to identify the sickest children and neediest families. 4 long days and 3 nights out in the field in Southern Ethiopia. "Each day involving many hours of intense and difficult driving to reach our destination. The roads are bad and the driver constantly swerves to miss animals or children. I must be constantly alert and keep an eye on the driver to make sure he is not dozing off, which has happened before. We pass a number of car wrecks in which people did not survive. The delivery & distribution involves many vital aspects – security to protect the aid from being stolen and to protect us from angry people, reliable transport, workers/staff, local permission/permits from leaders, crowd control, good weather - all of which have to come together on the day. Bad weather and heavy rain causes our trucks to get stuck for many hours; after this, a mechanical breakdown causes further delay; and then our distribution is halted as a group of local thugs demand we stop the distribution, so that they can take over. The situation is tense so our local contacts suggest we leave quickly to avoid a confrontation. When we begin to drive away, our car is blocked and we are held against our will, surrounded by bad guys. [Our team member Dr.] Henok suggests that I get out and move away from our truck. (I am the only white guy there and obviously attracting too much unwanted attention). After 2 long hours, our team regains control and continues with the distribution. Later in the day the same group comes back and makes another attempt to halt proceedings, but our team is now on the up and confident, so we are able to resist them. Our objective for the day has been achieved, in spite of the many obstacles and challenges." "In the morning enjoying breakfast with my family at home in the beautiful Cape to arriving later that evening in Ethiopia, a country with friendly people and the best coffee ever but also a region where there are severely malnourished and suffering children, many die daily. It is a place where life is cheap, where just a few cents can mean the different between days of life or starving to death. During the hours on the plane I try to prepare myself mentally for what I am going to see and experience, it is not easy, I force myself to think about the smalle (of sickness, disease, filth and death), to hear the sounds of children crying, to see tears on the mother's cheeks as she weeps, the look on the faces of so many desperate mothers as they seek help, the panic as the food distribution comes to an end, as 100's realise there is not enough food and they will be going home hungry and empty handed and then the despair and hopelessness that I will feel. It is a tough but vital process of preparation if I am to achieve my objectives in helping those who are suffering, the alternative is to not be prepared, walk in cold and un-expecting and then to stand around in shock and disbelief, unable to serve, help or know what to do." I wonder how I will feel this time, just a month or so back I was left feeling shattered after holding a dying child, I get a sick feeling in my stomach once again. Our team doesn't spare any effort in reaching our and bringing food and hope to the forgotten children in remote Ethiopian villages. But we couldn't do it without you! Please partner with us for the sake of the children! Michael, 5 years old, looked after by his grandmother Tsige. He is suffering from Edema and is critically ill. Swollen limps and cracked, infected skin are common signs of serious malnutrition. 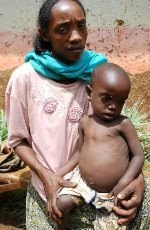 Markos, a 2 year old child with his mother Maritu. The hunger belly is another commong symptom of severe nutrient deficiency. Abduljadid is a severely malnourished 4 year old boy. 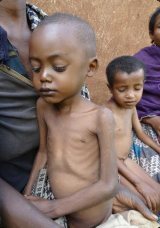 The emaciated body of this little boy shows yet another form of malnutrition. All these children are in serious danger of suffering from life-long consequences of poor nutrition if they are lucky enough to grow up.